These are the strangest breakfast cereals ever made. From Kevin Costner inspired cereal to breakfast in a can, join us as we take a look at the failed marketing campaigns, the bizarre mascots and truly weird flavours of cereals that have graced our supermarket shelves. 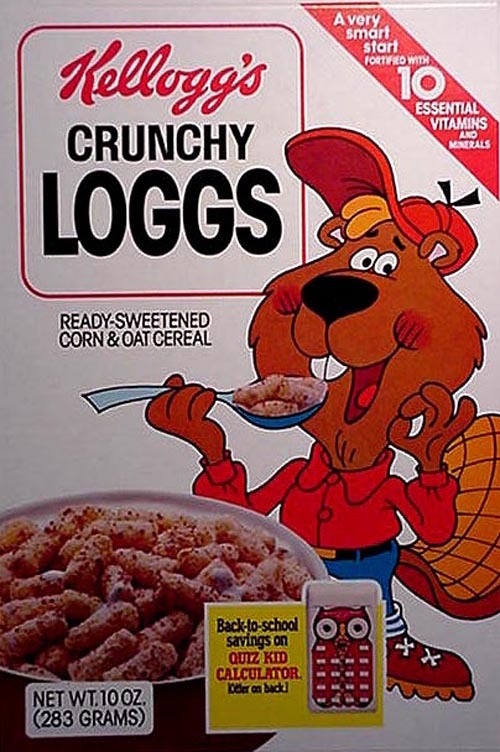 Introduced in 1978, these bland looking corn and oat logs were peddled to children by their mascot Bixby Beaver. 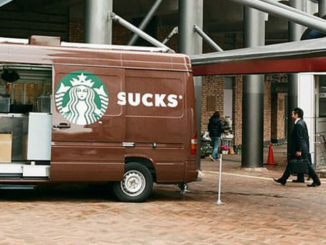 Mmmmm, nothing like eating little brown logs first thing in the morning. After a few failed years on the shelves this horrible cereal soon ceased production. Launched in 1974, the Freakies were a gang of seven weird little creatures promoting the goodness of breakfast cereal. The commercial depicted these creatures as wart ridden outcasts, so it’s little wonder why this cereal isn’t around today. 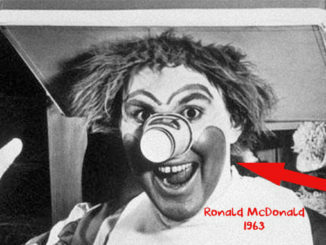 Some of the more notable characters were BossMoss, Snorkledorf and Hamhose – yep Hamhose. 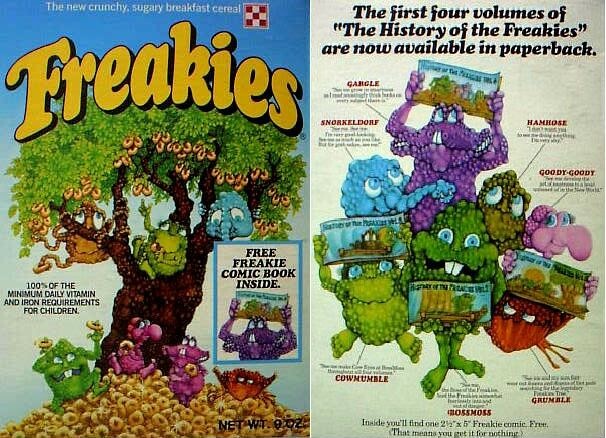 Despite all that, Freakies had a reasonably successful marketing campaign thanks to the unique characters and magic cereal tree featured on every box. Not surprisingly though, that was all the Freakies could deliver on and the cereal soon faded from the grocery stores within a few years. 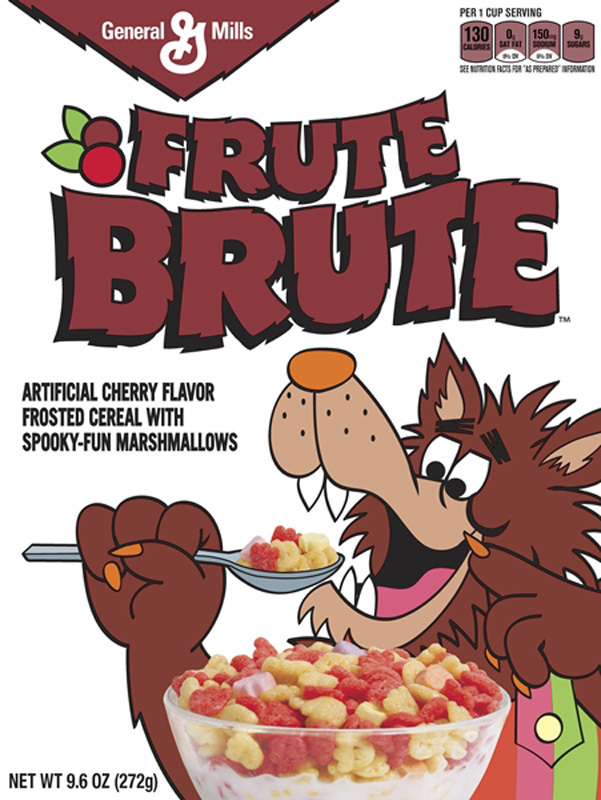 A part of the long line of ‘monster’ cereals, this one offered a cereal-eating werewolf that should have been a big hit. Boasting the ‘howling good taste of fruit’, this cereal obsessed werewolf teamed up with Count Chocula and Frankenberry in an effort to peddle their sugar jacked product on kids. Hilariously, the commercials made the werewolf come across as too scary making kids shy away from the product. Released in 1974, this fairly standard looking cereal was self-described as ‘crunchy frosted cereal puffs’. 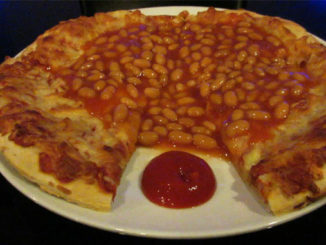 Its mascot was a talking top hat that urged children not to miss breakfast. According to some reviews the puffs would dry up during transit which resulted in a very ordinary tasting cereal. 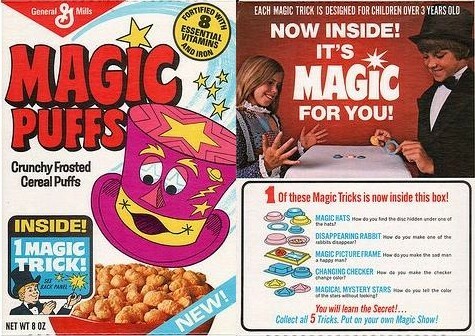 I think if you’re seeing a magic talking top hat you’ve already had enough magic puffs for one day. This crispy cereal with a chewy center of chocolate, didn’t hold up during shipping as most of the crispies tended to burst and leave the chocolate ‘surprises’ at the bottom of the box. 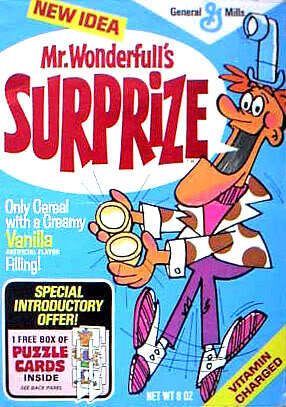 Hmmmm, a cereal called Mr Wonderfull’s Surprise that boasts being the only cereal with a creamy filling, it’s little wonder why this isn’t around anymore. 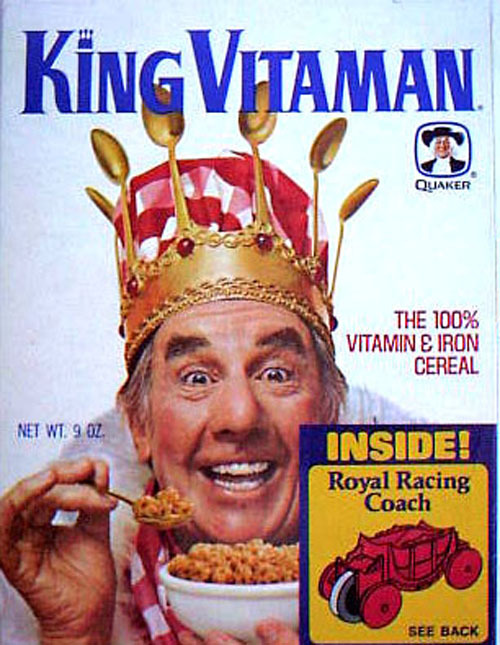 Instead of a pleasant cartoon mascot this breakfast cereal had a creepy old man that beckoned children in for a taste of the sweet stuff. Released in 1970, this product originally boasted 100% of the recommended daily intake of vitamins and iron – 100%! This was until the cereal industry was forced to reign in such outrageous and clearly false claims posted on cereal packets. 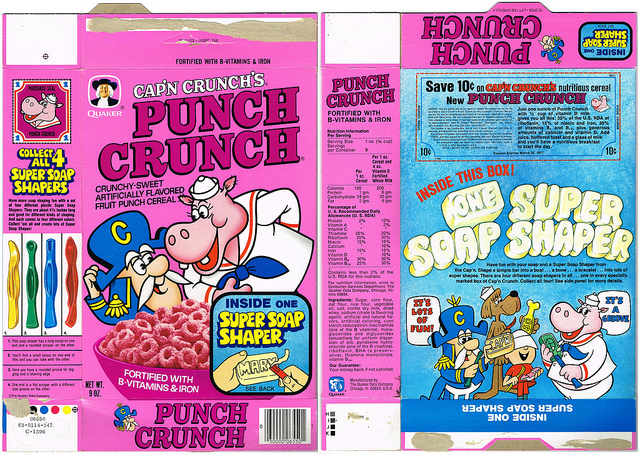 This was a pink variation of Cap’n Crunch that featured Harry S. Crunch the Hippo. It didn’t taste like punch at all, which I don’t think is an ideal flavor for cereal anyway, so Harry and his flamboyant pink cereal soon faded from the shelves. 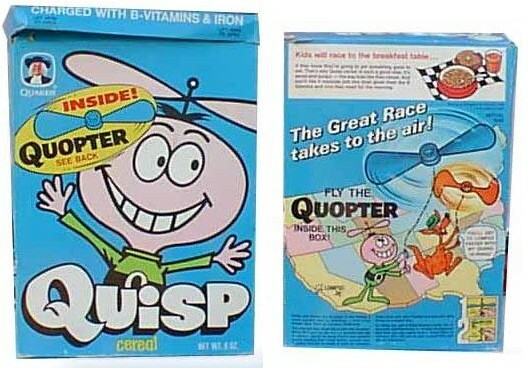 Boasting an alien mascot similar to the Great Gazoo from ‘The Flinestones’, Quisp cereal had a very unusual sweet flavour and became known as ‘the cereal that can’t be kept down’, which no doubt put a dent in sales. 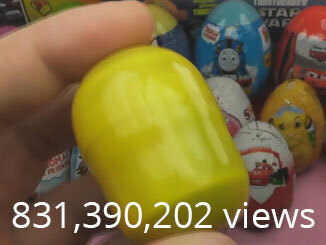 However, it is noted for its vintage set of limited edition toys inside the box.